Sunday I was dreading coming back to work. A week and a half off. Freedom to write, see friends and family, relax. As much as I love my breaks, they create this dichotomy between two worlds, teaching and freedom. The teaching world is generally just dandy when I’m in the routine and well-rested, but the freedom world makes it really hard to go back for the first few days. So, I geared up. I reminded myself that no matter how challenging my job may be, my students are a gift. Our time together is a gift. I am so lucky to have them in my life, constantly sharing beautiful little moments with me. I wrote this on my refrigerator, I repeated this to myself all week, they are a gift, they are a gift, they are a gift. Sometimes, I have to trick myself into positivity. This week it worked. I also told myself that I’d spend the week looking for things about my job to be thankful for in this very post because I knew it would be a hard week readjusting. And, magic! Knowing I was looking for moments to be grateful for kept me mostly grounded and positive all week, even as my very own Maniac Magee went on one of his wildest day-long adventures yet, (among other very exciting and/or horrifying moments, depending how you look at them). Lesson of the week: If you’re looking for something to be thankful for, you’ll find it. 1. 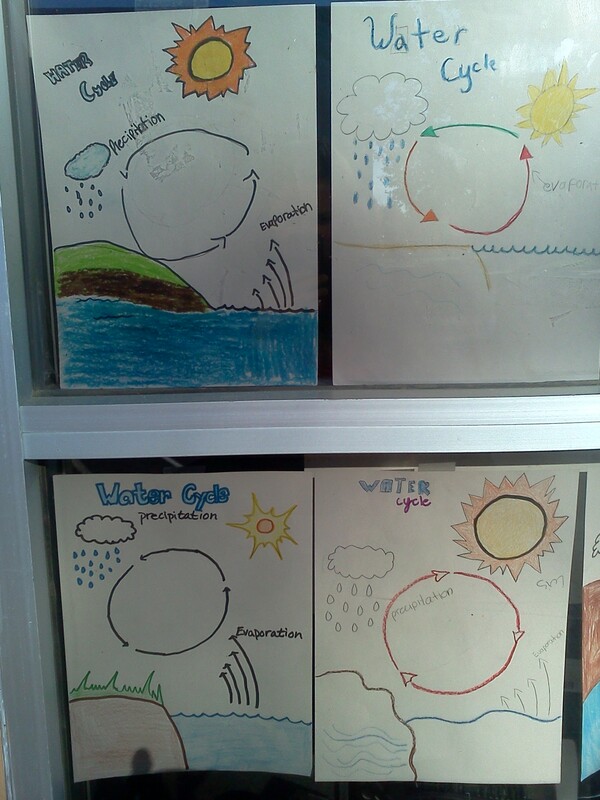 I actually had fun planning AND teaching my Nanowrimo and water cycle lessons this week. Turns out when you like what you teach, you’re happier! Funny how I never much liked science as a kid, but now I geek out on teaching it! 2. Even Maniac Magee, (as his name will remain this week), amused me with his antics instead of digging under my skin with his misbehavior. I took it lightly, which helped. And, the fact that he somehow ended up lying on my classroom floor after school, blown over in the wake of his own hurricane, made me smile. 3. Smiles. I missed my students over break, more than I realized. The smiles on their faces when they saw me Monday morning told me they missed me too. This warmed my heart enough to part with my beloved freedom and keep it positive this week. Today, I’m thankful for the mixed blessing that is my day job, teaching. Join the Thankfulness Thursday link-up over at Domestic Fashionista! Good teachers are hard to find. I’m sure your students are thankful to have you. Thanks, I hope so 😉 Overall I think they appreciate me. I definitely appreciate them. I hope you keep doing this throughout the school year. I like the little glimpses you provide of your life as a teacher. Those moments with your kids. Just reading about their smiles brightens my day. I feel like I’m in a special club, because I know EXACTLY who “Maniac McGee” is…and I love the comparison. He’s going to be your “Sunshine” who will crawl back to you and say hello and update you on his life next year. I can guarantee it! He will eventually be your “turn around kid.” Have faith, and soldier on, my friend! Haha, you are totally in a special club. And, yes, I will always remember him, I’m sure. I hope you’re right that he’ll eventually get it together 😉 Until then, I’m going to keep smiling at him!